Mitchell Creek Marina, Dale Hollow Lake, TN. Make Mitchell Creek Marina Your Summer Escape! Why not make Mitchell Creek your home on the water? Beautiful accommodations from cabins to houseboats. Watch "Jaws" while floating on the lake. Fun, Fishing, Shopping, Dining & Quality Time! Affordable Luxury, Relaxation & Comfort, All With A Remarkable View! Leave Your Equipment At Home! Convenient, Affordable Equipment Rentals For The Entire Family! 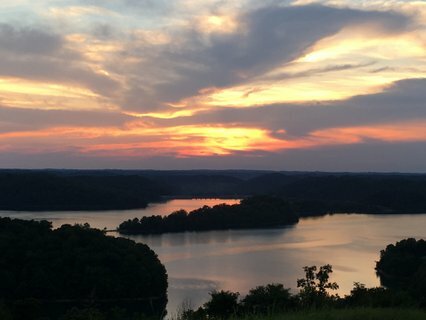 At Mitchell Creek Marina, there are several ways to escape to Dale Hollow Lake! Leave Your Boat! Slip Rentals are available for annual rentals! Enjoy the ease of keeping your boat in the water on one of our Docks. Call 931-823-6666 on Mon.-Fri, 8 a.m.-4 p.m., for Slip Rental Information to find the right size and right price for your needs! 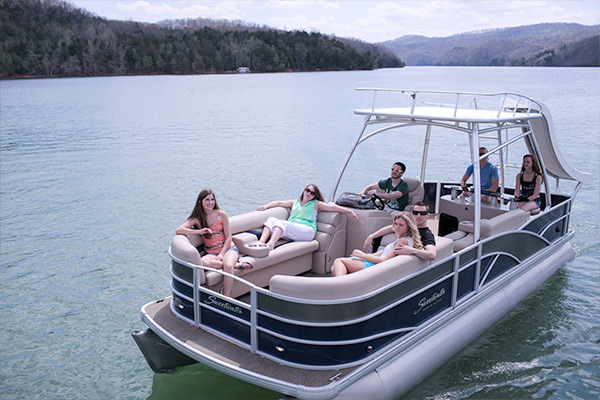 You may also opt to enjoy that slower pace every single day at The Pointe, our sister property on Dale Hollow Lake that offers building lots with boat slips! Plan the Vacation You’ve dreamed of! 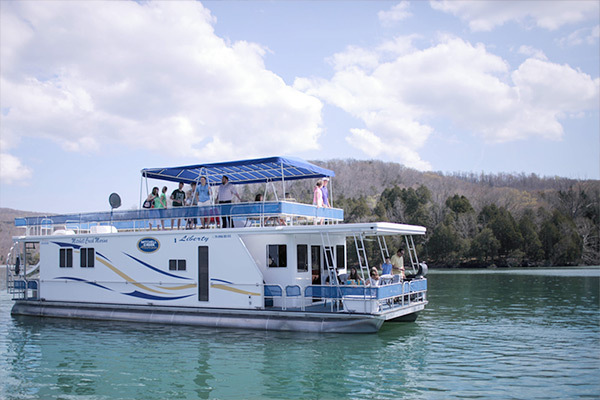 We want you to stay with us at Mitchell Creek Marina during your Dale Hollow Lake vacation, so we’ve made it easy. You have your choice of houseboats rental or cabin rental – so bring as many (or as few) folks as you want. The accommodations at Mitchell Creek Marina are not only white-glove clean, the variety fits multiple needs. Of course, family vacations are our number one priority, but we have all types of guests throughout the seasons. Fishermen. Family reunions. Corporate retreats. Small conferences. Class reunions. “Girlfriend” getaways. Honeymooners. We love helping our guests make their plans. During the Escape to the Lake at Mitchell Creek Marina 2019 season, we’re adding Music on the Water and Movies on the Water between Memorial Day and Labor Day. Visit our calendar of events to book your reservations so you can enjoy these events. 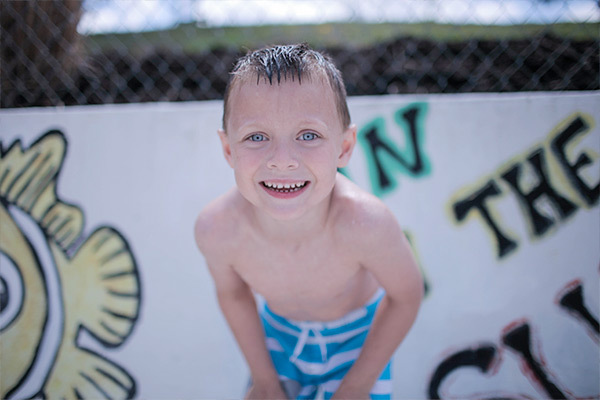 Mitchell Creek Marina & Resort is very family-friendly, offering activities suitable for children and youth on, around and off the water. The full-service marina makes it simple and comfortable for water enthusiasts at Mitchell Creek. There are more than 300 boat slips, watercraft rental and accessory rentals and a first-class restaurant serving Southern favorites at lunch and dinner every day and breakfast on weekends. Supplies, equipment and other lake needs are available at the Marina Store. You won’t find a more beautiful scene than the early morning mists rising across the waters of Dale Hollow Lake as the sun bursts over the hills of the Eastern Highland Rim. Experience this view at a Mitchell Creek Marina vacation for a vacation or for a lifetime from The Pointe.